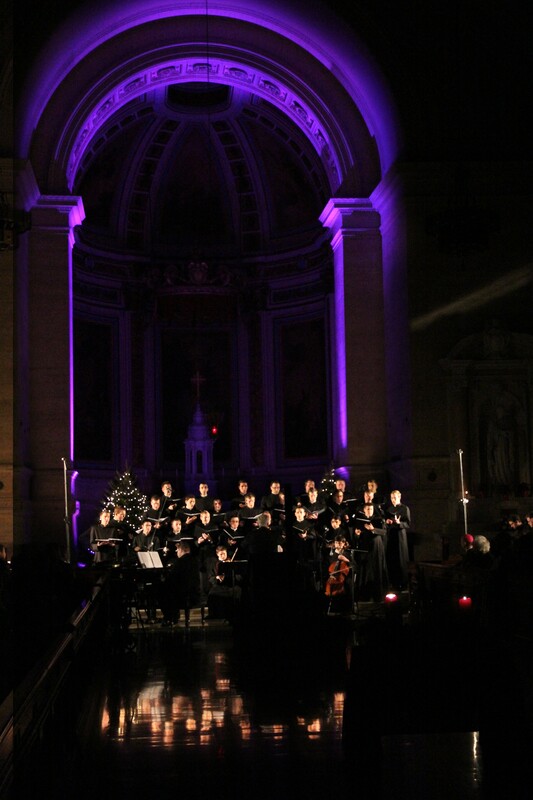 The 25th annual Christmas concert at St. Charles Borromeo Seminary was so successful that seminarians had to hustle to find folding chairs to accommodate an enthusiastic capacity audience. More than 600 people filled the seminary’s St. Martin’s Chapel Sunday night, Dec. 9, and were treated to an hour and a half of selections of sacred music and two traditional Christmas carols by the 25-voice seminarian choir. The choir was accompanied by six seminarian musicians led by the seminary’s rector, Bishop Timothy C. Senior, who played piano and sang. The attendees responded generously to an appeal for freewill donations to benefit residents affected by last month’s Hurricane Sandy. The seminary will donate the $3,500 collected at the concert to Catholic Relief Services for the effort. This is the true meaning of Christmas that God has blessed St. Charles with so many seminarians. God bless you and Merry Christmas. One more thing ‘thank you’ for your answer to God’s calling.